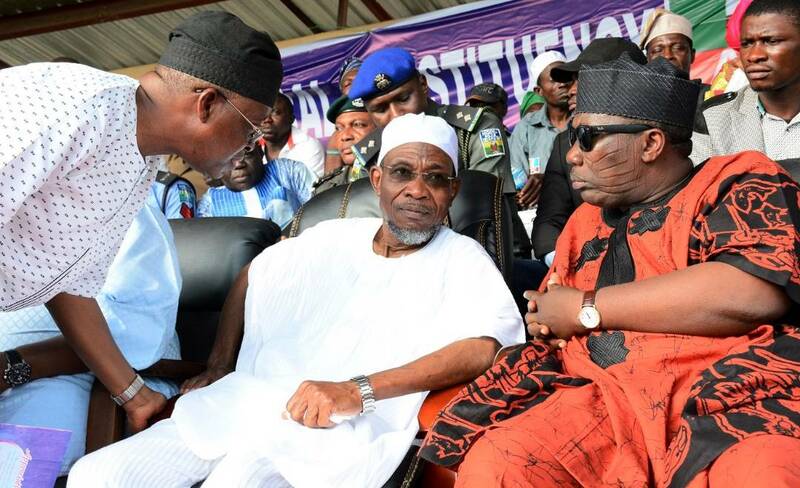 The Osun State governor, Mr Rauf Aregbesola has called for unity within the All Progressive Congress and urged members of the ruling party to put the interest of the party first. Aregbesola assured that the party would conduct primary election for all aspirants to elect the gubernatorial candidate of the party just as he declared that he has no anointed candidate. Aregbesola stated this during his Goodwill tour to Ede, the headquaters of Ede Federal constituency, yesterday as part of his planned sensitisation visits to the Nine federal constituencies in the state. "We shall conduct primary election for all aspirants to elect our candidate, and what's most important is for our party, APC to win the election irrespective of the zone from which the candidate emerges." He noted. The visit, according to the governor, was premiered on the need to charge the loyalists of the party to be prepared so as to ensure that the party remains the ruling party in the state. However, members of the party who thronged the venue, unanimously demanded that Aregbesola cede the governorship slot to Osun west senatorial district. At the calling of APC, the clamouring members instead of responding with "change", the slogan of the party, thunderously chorused: "West L'okan," to press home their demand that it is the turn of Osun west to produce governor. The speaker, Osun state House of Assembly Rt.Honourable Najeem Salam, who also hails from the constituency, in his address corroborated Aregbesola and cautioned supporters of the party gubernatorial aspirants not to demarket the party in the name of supporting an aspirant. Governorship hopefuls from Osun west in APC include Adelere Oriolowo, Dr. Abiodun Ismail saka-layonu, Benedict Olugboyega Alabi, Moshood Adeoti (SSG) among many others.